Please join artist Kota Ezawa and curator Irene Hofmann, SITE Santa Fe, for a conversational gallery walkthrough of the exhibition Kota Ezawa: The Crime of Art prior to the opening reception. 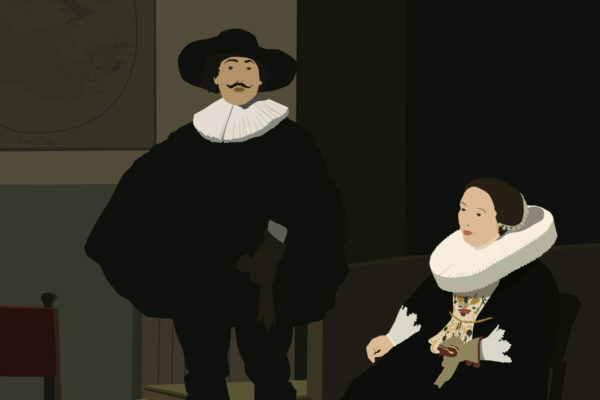 Featuring a series of light-boxes and video animations the exhibition chronicles some of the most infamous and high-profile museum heists in history, including a series of images paying homage to the 13 artworks—by Degas, Manet, Rembrandt, and Vermeer—stolen from the Isabella Stewart Gardner Museum in 1990. Ezawa’s digital interpretations of the stolen Stewart Gardner masterpieces take on new life as Ezawa plays with ideas of appropriation and originality. Kota Ezawa’s work has been shown in solo exhibitions at SITE Santa Fe (2017); Albright Knox Art Gallery, Buffalo, NY (2013); Vancouver Art Gallery Offsite (2012); and Hayward Gallery Project Space, London (2007). He participated in recent group exhibitions at Hamburger Kunsthalle (2018); Musée d’art contemporain de Montréal (2017); Museo Thyssen-Bornemisza, Madrid, Spain (2017); and San Francisco Museum of Modern Art (2016). Ezawa's work has earned a number of awards, including the SECA Art Award of the San Francisco Museum of Modern Art (2006), a Eureka Fellowship from the Fleishhacker Foundation (2010), and a Louis Comfort Tiffany Foundation Biennial Award (2003). His work is included in renowned collections such as: Museum of Modern Art, New York; Metropolitan Museum of Art; Hirshhorn Museum and Sculpture Garden; San Francisco Museum of Modern Art; Kunsthalle Bremen among others. Ezawa lives and works in Oakland, California. Space is limited, so RSVP now to reserve your spot.